A Spy vs. Spy Pencil sharpener gag by Bob Clarke. …and another pencil sharpener gag from the The Mad Student Survival Guide for Those Bored of Education. I’d like to thank Anthony Snyder for allowing me to show Bob Clarke’s drawing. He is currently selling this drawing on eBay. 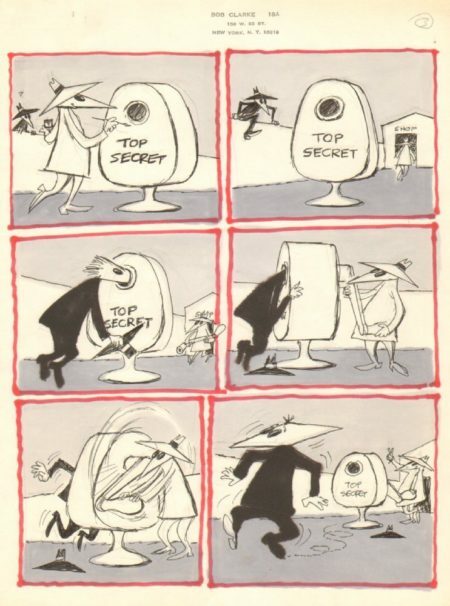 The image of Bob Clarke’s Spy vs. Spy comic is from Anthony Snyder, who allowed me to show it in my blog. The sharpener gag is taken from The Mad Student Survival Guide for Those Bored of Education. I believe that the use of these images in this blog post falls under “fair dealing” as described by the UK Copyright service. Great! Really mad 🙂 Thank you for showing! Brilliant…with just a hint of truth in the second one.